About 70% of leaders have an elevated score or high risk as an Egotist. Effectively coaching the entrenched Egotist leader takes unique preparation, confidence, and patience. I have coached hundreds of Egotists since we founded CDR in 1998 and here are few simple suggestions that you may find useful. Executive coaches can toss out their normal playbook when taking on the Egotist leader client. In fact, effectively and productively coaching the ardent Egotist is a steep challenge that many executive coaches are ill prepared to tackle. There are three distinct traps coaches may get caught in while working with the Egotist. These traps can hinder, or even ruin, the coaching relationship and progress. Trap 1) Despite the fact that good new sells, use sparingly with an Egotist. While developing and leveraging a leader’s best strengths and talent is a pivotal part of the normal executive coaching, focusing predominantly on strong suits or praise with the Egotist executive can be counterproductive. So with this trap – the coach needs to listen for quite a long time and build rapport before moving into critical feedback. Then, the coaches’ feedback needs to be supported with facts and data should be linked to how the negative behaviors are impacting the leader’s own goals and aspirations. In other words, if you can demonstrate their own behaviors is damaging them personally, you will have better luck in getting their attention. Trap 3) The lack of essential baseline data collection early in the executive coaching process. When working with limited data, or a 360 instrument alone, executives are provided only the observer’s view, which the Egotist will argue away. Clever and manipulative Egotists are adept at taking apart the views of others or by putting pressure on those providing the feedback. Most often, 360 feedback is not enough when coaching the Egotist leader. It is important to have personality characteristics, risk and motivational data to get a clear reading on why behaviors manifest in they ways that they do. Then, along with 360 feedback, there is no wiggle room for the Egotist. Again, linked to their own goal attainment and the complete data, they will, at last, own it. Have you ever worked for a manager who lacked key strengths that you thought were important? How did you handle it? How do you feel your performance stacks up against others (better than most, about the same, worse)? Why? 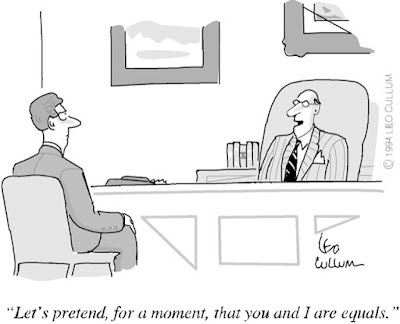 Tip 2) Find out what your Egotist client values most – it is usually their own career and success. 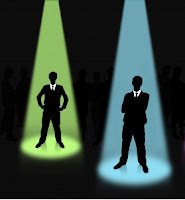 When the timing is right, let them know how their Egotist behaviors (you have observed or that they have relayed to you) are likely to undermine their achievement of those goals. This is really important to the Egotist – because it is all about them and their personal success. Tip 3) Be sure to put on your tough, direct demeanor. You need to show confidence and strength as an executive coach for the Egotist to respect and value your insights. Too much compassion and warmth can be mistaken for weakness when dealing with the Egotist. 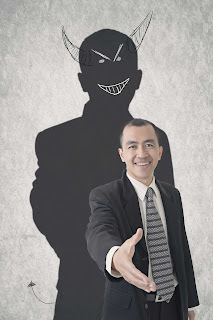 As an executive coach, having a tough Egotist client can be a tall challenge. With a well thought out and prepared effort, you can really help them and they typically need your help. Having the patience and determination to get past their difficult veneer and lack of humility is daunting at times but doable. Your reward is: knowing that you have gotten through to the Egotist to induce a sufficient level of self-awareness to develop actionable plans to improve. Source: CDR Assessment Group. (Copyrighted 1998). CDR Drivers & Rewards Assessment Report. Tulsa, OK: Author. More and more organizations are using scientifically valid personality and motivational assessment tools as an integral part of their executive selection screening process. One of our clients who was being considered for a new external executive position courageously turned the normal assessment and screening process on its head. Tom (not his real name), a Vice President of Organizational Development (OD) of a large retailer, was being interviewed for a global manufacturing and distributing firm with over 150,000 employees for the position of Sr. Vice President of Human Resources. Tom decided he wasn’t going to make the move without having the hiring manager, the CEO of the company and would-be boss, “John,” take our battery of assessments, the CDR 3-D Suite. Tom wanted us to compare his own results with John’s for a careful review and analysis to see if this would be a complementary match or potentially be a nonproductive pairing. Tom asked me if I would be willing to perform the analysis for them. I was amused and intrigued with his bold idea and explained to him that I had never heard of any external candidate requesting an analysis of the hiring CEO or the hiring executive. I couldn’t resist this and said yes with certain process conditions. At this point, they had already completed a number of interviews and while overall the results were positive, Tom wanted a better idea of what he might be getting himself into. I spoke with the CEO, John, and my terms were that he take the assessments, have his own confidential coaching feedback session so that he fully understood his personal results first, then I would perform the analysis. We would then review with both of them. John, taking a leap of faith himself as he had never been exposed to our assessments, agreed to the process. Tom was in a secure position now as VP of OD although was frustrated by the risk aversive environment. He was in a high command and control organization where senior leadership tended to micro-manage the business and slow down needed changes and innovations that Tom relentlessly pushed. So, he was less than happy to say the least. Tom didn’t want to jump out of the frying pan and into the fire. The one positive aspect of his current job was that he worked with people who built and fostered caring relationships – so they all got along quite well. Unfortunately, they just moved at the pace of risk-aversive snails as far as Tom was concerned. John was looking to retire in several years and wanted to bring in a leader who had fresh ideas and could better help position the company competitively for the future. They were a bit old school in their people processes, so hiring someone who could implement changes and updates that made sense. This was particularly important for sustained performance in an industry where the margins were slim. We went forward – and John participated in his 2+ hour feedback session. The pair’s analysis was then completed. As it turned out, this match was not ideal or close to a win-win pairing. Tom, a change agent to the extreme, a visionary maverick – was more than John or his organization could have tolerated. While John knew he needed an HR leader who could help transform the organization, Tom would be more radical, intense and urgent than the organization and culture could tolerate. Further, the rest of the executive team was less than ready for the type of nonconformist that Tom’s profile revealed. John’s business really needed someone to implement reasonable changes steadily by balancing and building trust with incremental movements rather than bold, sweeping new designs. After the coaching and analysis of the two’s data, in the end, both left with a clear understanding that the pairing was not in their own or the hiring organization’s best interests. Yet, they had tremendous respect for each other. Tom had decided not to accept an offer; and, an offer was not made by John. A year after the decision, both are glad they did not join forces because while Tom has exceptional talent, it wasn’t the right time or right organization for him to move to because he would have overwhelmed them with his vigor and need to change. In fact, now -- both organizations are valued clients. Since the upward screening and analysis, each has made positive strides in achieving their objectives and implementing respective changes in their organizations. Because of numerous competitive and regulatory changes in Tom’s business environment, his senior executives have come to embrace and adopt many of his recommendations. In fact, his role has been expanded. John has recently performed talent capability analysis in key leadership areas and has improved his succession and development processes, building for the future. 1. Turnover is a good thing. 2. Lucrative compensation packages and perks rarely attract incompetent or unethical candidates. 3. Egos seldom get in the way. 4. CDR may screen out too many of candidates presented to us by recruiting firms and we may have to expand our search*. 5. Those who interview best usually are the best performers. 6. Cloning only applies to genetic engineering. 7 D & O insurance coverage provides sufficient liability protection from possible executive misdeeds. 8. Traditional talent selection screening systems are close to foolproof. 9. With so many candidates, surely the best will rise to the top. 10. It is no big deal – if a mistake is made, we can just go through the search and recruiting process again. *Ironically, #4 above was an actual concern expressed to us by a client VP of HR. So consider: is a bad fit candidate better because you 1) haven't identified any well suited candidates (yet); and, 2) because the recruiting firms are not producing best suited candidates even though they look good on paper?